A Fireplace Door or an Inset Stove? Following my post update on the Experimental Fireplace door I installed over a year ago, I have received several letters and enquiries about the post. Interesting update about the fireplace door. The fire front seems like a practical and low cost solution - i.e. the kind of thing that some overpriced stove profiteers would dread. There is an Irish made Boru fire front - I wonder if any one has experience with it yet? It might be particularly worth considering in light of your recent posting about the poor performance of some inset stoves. 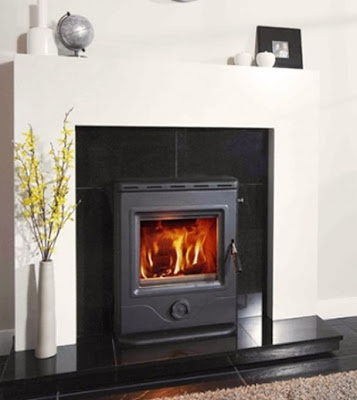 A fire front is of course less efficient than a stove but the ease of retro fitting may make it a better trade off for cost versus efficiency gain. The Boru Doras Fireplace door looks fine but the one big factor I see going against it, is the price. At around €550+ it is a truly silly price to pay for a simple door, especially given that it is not even in stainless. You could buy an inset stove for that money. I would not choose a fireplace door at all- at all - if I did not have a Firebird back-boiler already installed in the fireplace. You can in fact risk overheating the chimney breast if you do not have a wrap-around boiler in place. If you are considering a fireplace door in a fireplace without a wraparound boiler, I would be inclined to go for an inset stove instead. 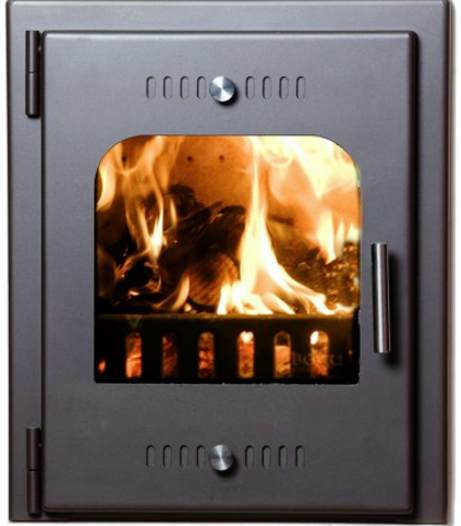 (1) An inset stove will give you perhaps 50% more efficiency that a plain door. (2) You will not risk over heating the chimney breast and subsequent damage. (3) You can buy an inset stove for roughly the cost of the Boru Doras!! What Inset Stove costs the same as the Boru Doras? 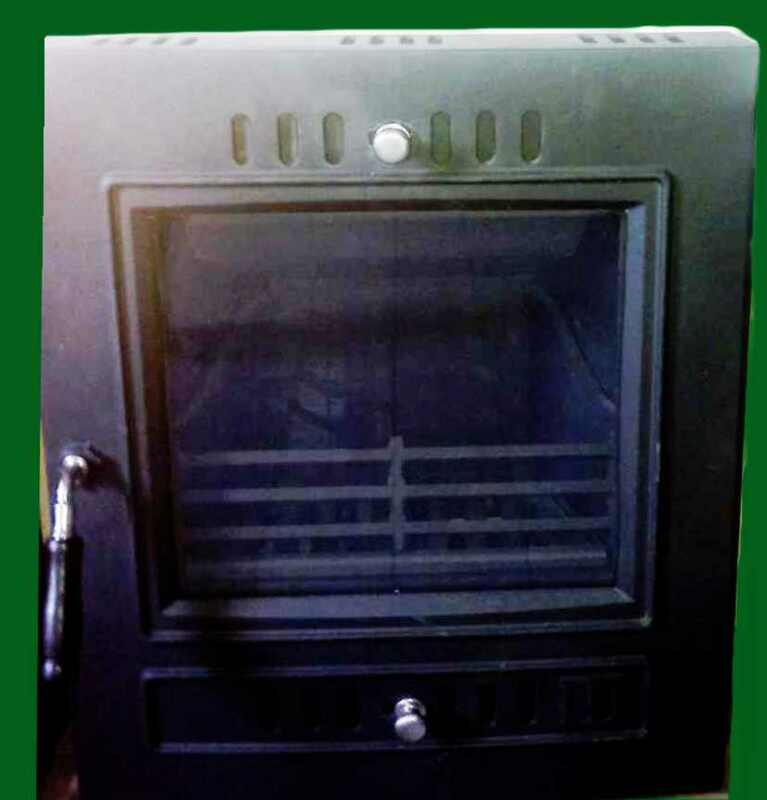 The poor quality picture above is of the Hamco "Glen" inset stove. The Hamco inset can be bought for roughly the same price as a Boru door. At the very least it will give a much higher heat output to the room, and you will not have the higher risk of compromising the chimney breast. The Hi-Flame inset stove is very nicely built and is priced at a very reasonable €565 at McElligotts Hardware Stores Castleisland Co Kerry.